for ALL ages at ANY event!!! 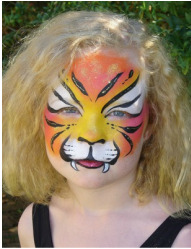 Please have a look at our face painting gallery -- Enjoy!! contact Emily at Funtastic Faces 0410082673 for a free quote. we also like to Body Paint and love Balloon Animals too! !